The idea that beauty is power is a common idea in society, and this often stems from the notion that the way we present ourselves and show up in the world can make a statement about who we are. If you are looking for ways to showcase your unique identity and beauty in effortless yet effective ways, then these tips and tricks will help you find ways to out together your own unique style and make a statement in society. The old adage about “the clothes making the man” can apply here, albeit for ALL people, not just men. What you wear is often a great way to communicate something non-verbally to those around you. 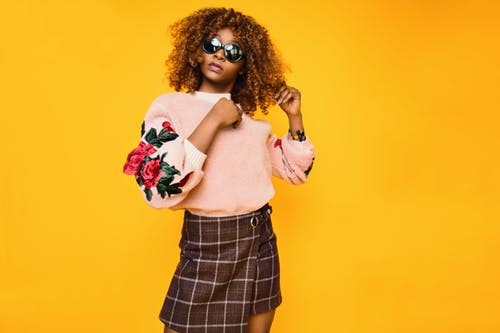 Even if you have a small budget, there are ways to invest in at least a few fine pieces of high-quality clothing, whether via online shopping, thrift stores or clothing exchange places. Finding clothes that are the right fit to suit your body shape and style is key. There are a number of fashion and style blogs that can help you find your fit and remind you that it is all about who you are, not what others tell you to be. The trends and fashions in cosmetics change so much and so often that it can feel like a rotating doorway if you are trying to keep up. The best tip here is to find a makeup style that is easy, fits into your busy daily routine, and don’t make you feel too overdone. Simple colors and natural-looking applications never go out of style. Glamming it up with colors and other techniques for special occasions can be great, but you want to find a beauty routine that works for you. Standing tall and proud sounds like a cliche, but there is plenty of research to suggest that our posture and the poses we use an have an effect on our mentally. How you carry yourself throughout your day can speak volumes, and in the workplace can potentially impact your career in positive ways. If bad posture is something that you struggle with, there are ways to consciously work to change bad habits. As we get older, good posture will help our health in the long run. If you have been sporting the same style and color of hair for years, it may be time to consider changing things up. It can be intimidating to make a drastic change in your look, but talking to a stylist and getting some advice can help you find a new look that works for you and helps to define your unique style and beauty. A great hair style can also do wonders for your confidence, but be sure to find a style that is easy to replicate on a daily basis. We all want to show up in the world being seen as unique and individual. While not everything about our identity is relating to physical appearance, the way we dress and adorn ourselves can change our moods, make us feel more positive, and show the world that we are confident in who we are.